The announcement was made March 19 during American Trucking Associations’ 2019 Technology & Maintenance Council here. The new Road Ready MCU is about 13 inches long and 5.5 inches wide, compared with the previous version’s size of 21 inches long, 11.5 inches wide. The solar-powered version of the MCU mounts on the front of a trailer, with the solar panel mounted on top. The hard-wired version connects to a trailer’s blue line power through a trailer’s nosebox and charges the battery with power from the truck’s battery, Truck-Lite said. Both versions communicate with Road Ready’s wireless sensor network and feature a battery that can permit untethered trailer monitoring for 60 days without a charge, the company said. 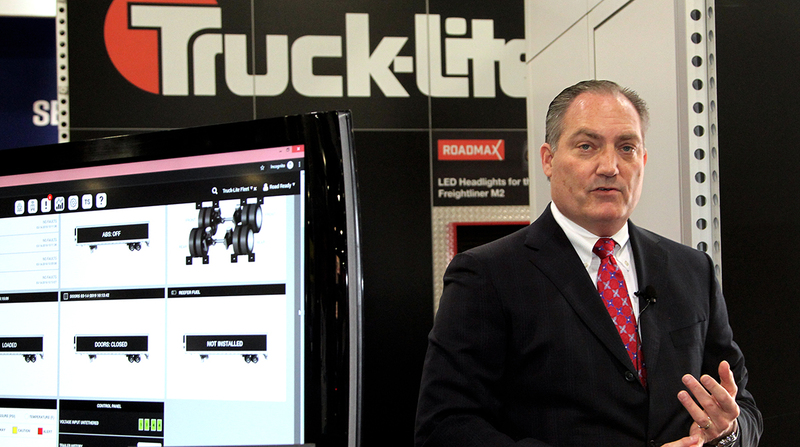 The updates will expand the system’s compatibility with various types of trailers, said Rob Richard, general manager of the Road Ready business division. “These advancements were made in order to cater to diversified fleets that utilize multiple trailer types in addition to dry vans, such as tankers, flatbeds, chassis and containers,” he said in a news release.